If you had told me when it was announced that World War Z would be one of my most anticipated games of this month, I would have laughed. Well, I, and anyone else intrigued by the most recent long jump away from the source material, will be able to find out for myself if it’s any good today. World War Z launches today (April 16th) for PC, PlayStation 4 and Xbox One; it’s an Epic Games Store exclusive on PC. There are no reviews for it just yet as a multiplayer game with code not being sent out until just before launch. Developed by Saber Interactive, who have a history of making killing things fun, and published by Focus Home Interactive, World War Z is a third-person squad-based zombie shooter that is based in the same universe as the movie, not the book. That means fast zombies, and lots of them. 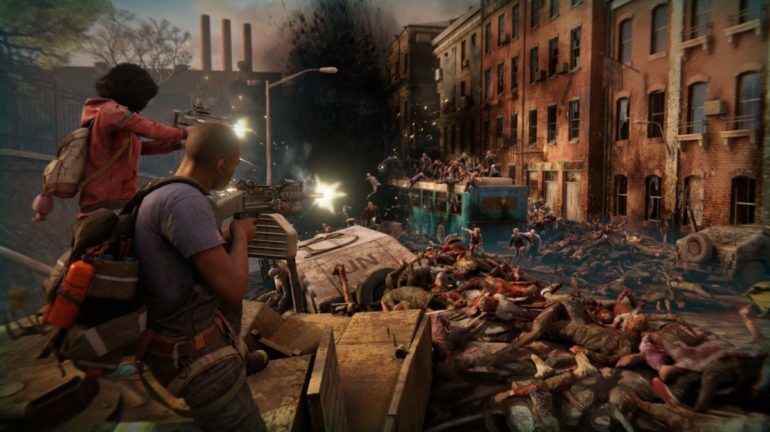 Comparisons to Left 4 Dead are inevitable, as they are with pretty much any game with squads and zombies, but World War Z may just do enough to distinguish itself, or at least provide some mindless fun. At least it will almost certainly be better than Overkill’s The Walking Dead. Right?